Thank you for your inquiry in NCpedia about the Halifax Resolves. 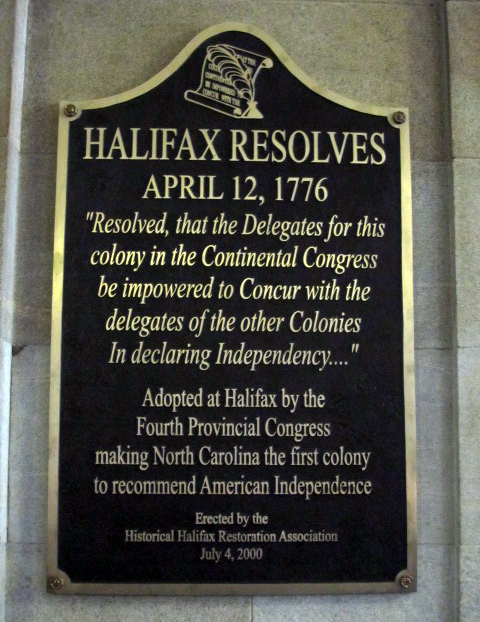 Here are some additional resources about the Halifax Resolves in NCpedia: Reasons behind the Revolutionary War; Halifax County; Halifax; Resolves, Prerevolutionary. Also, be sure to check out the links under "References and Additional Resources" on this entry. I am also forwarding your request to Reference Services at the NC Government & Heritage Library. Their direct email address is slnc.reference@ncdcr.gov. Additional contact information may be found for them at http://statelibrary.ncdcr.gov/reference/reference.html. Good luck in your research!